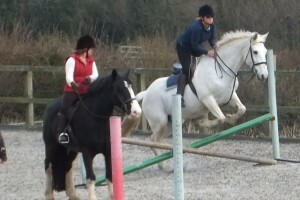 Mellow is a lovely sturdy cob who is suitable for riders of all ages and abilities. He is weight carrying and can carry most adults as well as children. 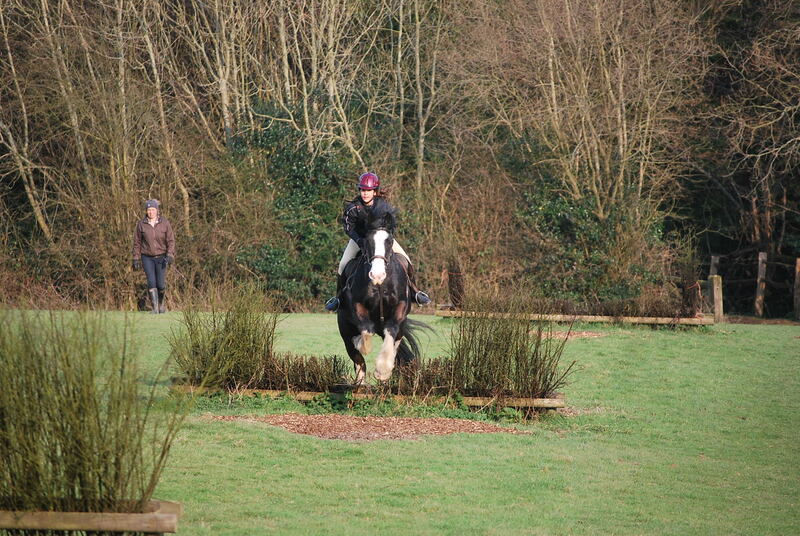 He stands at 15hh approx. He has a sweet and tractable nature. Mellow enjoys both flatwork and jumping up to 80cm. He is very quiet to hack and is not at all worried by traffic. Weasley is a very friendly irish sports horse gelding. He is nicely forward going and responsive to the aids. 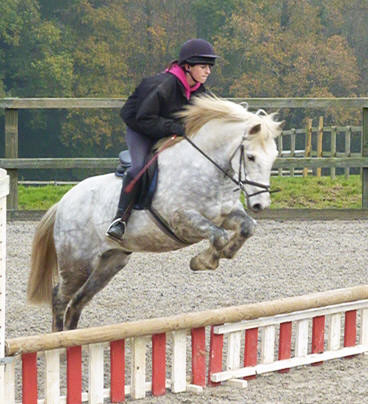 She has a sweet friendly nature and can jump well in the arena or cross country up to 90cm. Barney is a super New Forest pony who has done well at local shows and pony club competitions. At 13.2hh he is a great ride for children and young teenagers. 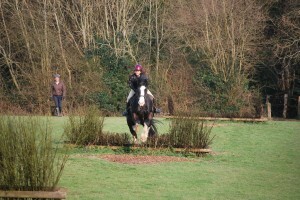 Barney is well schooled and has an ideal comfortable canter for less experienced riders. 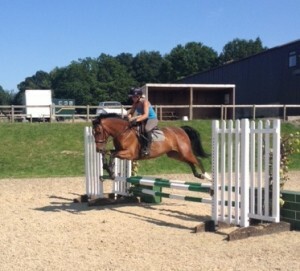 Barney loves cross country and is great for those wanting to have fun around our course. When you book your riding holiday with Hurstwood Farm we will ensure that you are matched to a horse or pony that is appropriate for your weight and abilities. The riding itinerary may be adjusted to suit your experience.To see our standard riding itinerary and more detail read more here>>Do not worry if you are not too sure what you want to do. 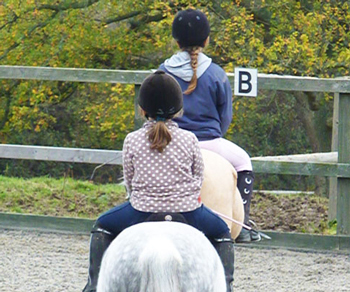 We can start with an assessment lesson in our arena and then take it from there on a day by day basis if prefered. A BSI standard hard hat. This is essential. Hurstwood Farm do not have a stock of hats so please ensure you bring one. Riding johdpurs, breeches or full length chaps over jeans. Sturdy leather shoes or boots with a defined heel. If jumping you may want to wear a back protector, we strongly recommend back protectors for children. A lightweight pair of gloves add comfort.